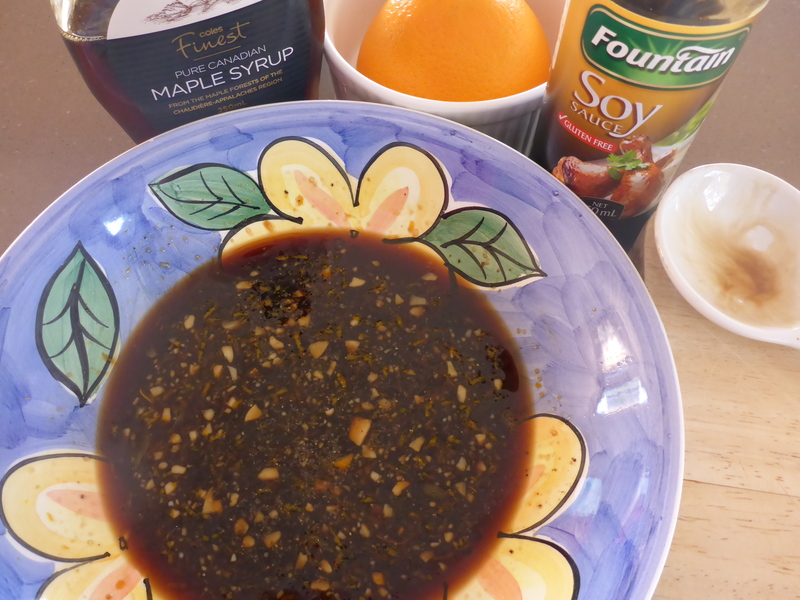 In a bowl stir together orange juice, zest, maple syrup, soy sauce, garlic and pepper. 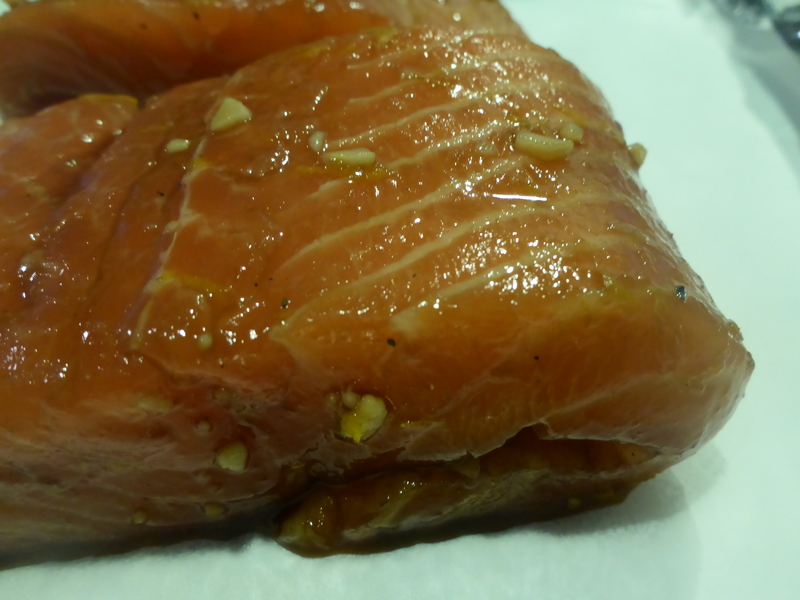 Add the salmon to the marinade, turning the fillets to cover, making sure the marinade is coating all of the salmon. Cover and refrigerate for 2 – 3 hours. 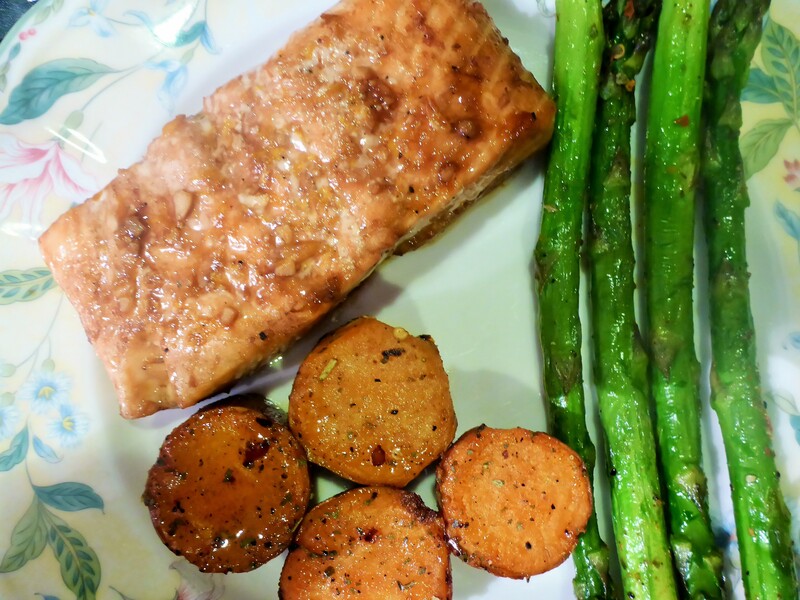 The salmon in the marinade. Preheat your oven (180 degrees Celsius) and while oven is heating line a baking tray or dish with some foil and baking paper. Place the salmon fillets onto the lined tray (no need to grease as salmon won’t stick) tucking the thin end under to make the fillet more even for cooking. Then drizzle a small amount of the marinade over the top before placing in the oven to cook. Tuck the thin end under so it doesn’t overcook. Cook for 15 – 20 minutes, basting with a little bit more of the marinade half way through. Once cooked to your liking serve with salad or vegetables. 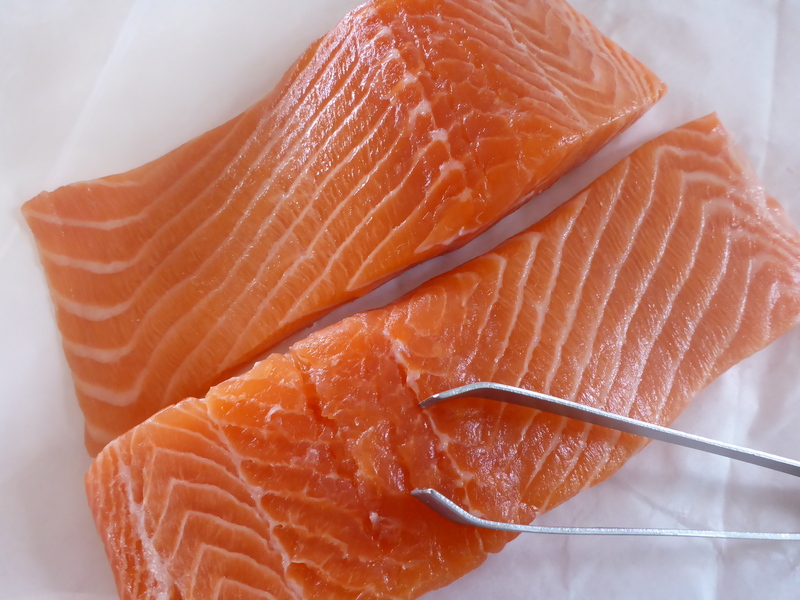 Before you place the salmon fillets in the marinade make sure there are no bones. Run your hands over the surfaces (all sides) and if there are bones grab a pair of tweezers to pull them out (make sure you have new clean tweezers that will only be used for this purpose). Salmon fillets, make sure you have checked for bones. Use 1 – 2 cloves of garlic depending on the size of the cloves and how much you like garlic. You can cook the salmon in about 10 – 15 minutes if you prefer your salmon to be served a bit rarer. Wayne and I prefer ours cooked through (so it is just cooked through and flaking but not dry). This can be tricky as you don’t want to dry out the salmon so keep an eye on the time and the fish. Make sure you use good quality real maple syrup and not imitation as this will give you a good flavour without too much sweetness. Tucking the thin end of the salmon under helps so that the thin end doesn’t overcook and dry out. 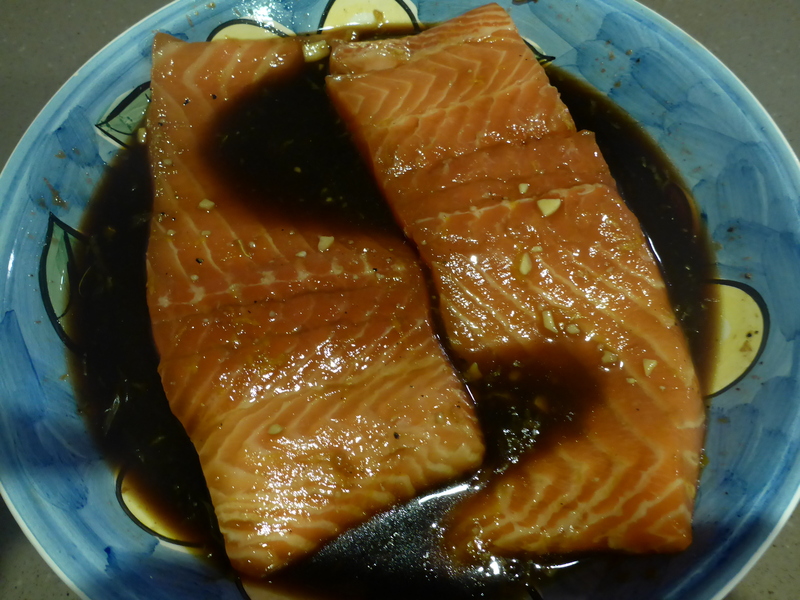 This entry was posted in Home, Recipes, Savoury (Main Meals) and tagged Baked Salmon, Fish, Maple Syrup, Salmon, Seafood, Soy Sauce. Bookmark the permalink.